Your best travel partner is you! When browsing the world wide web on anything to do with travel, chances are you will come across the words: “solo female travel”. This is buzz phrase of the backpacking community. Travel blogs, Pinterest boards and social media accounts thrive off this theme, with the idea that solo female travel is a scary thing yet a heroic accomplishment. With girls facing different dangers to what guys face in some countries, there has clearly been a stigma against women travelling alone for their own safety. But what about travelling alone in New Zealand? We asked Katharina, author of MyWorkingHoliday.info, to look back at her New Zealand trip as a “solo female traveller”. Why New Zealand is the perfect place for your first solo trip! New Zealand is the perfect place to travel alone, especially for your first big trip alone. It’s easy to meet other backpackers, so you don’t have to be alone. New Zealand has awesome backpacker hostels. Travel with other people on the bus networks or on your own road trip. It’s easy to find work to sustain yourself. There’s so much to see in one small country! Solo female travel is super common in NEw Zealand! 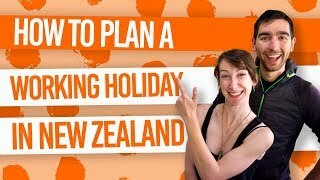 Thinking of travelling in New Zealand alone? You are not the only one. Both males and females venture off to New Zealand alone. No matter what country you are from, what your age is, whether you’re male or female, if you are seen by yourself or known to be “travelling alone”, people will not look twice. You’re not anything special! Except in your own little way. In fact, travelling alone has become more of a trend in recent years. For example, Booking.com found that 72% of American women have travelled on their own in 2014. The term “solo female travel” on Google grew by 52% between 2016 and 2017, averaging 2,900 searches between October 2016 to September 2017. And Pinterest searches for the term “solo travel” has increased 600% in 2018! Even when Googling travel blogs for New Zealand, you’ll see a wealth of blogs from solo travellers, especially female bloggers – everyone is doing it! Ok, so you started the journey to New Zealand by yourself, but that’s where being alone can end. As discussed above, there are many solo travellers in New Zealand who are open to making new friends. While some backpackers take a trip together for just a day then never see each other again, others will know each other for life! You can make so many different friendships here. Meeting new people while travelling or on a working holiday in New Zealand is especially easy in backpacker hostels, as you are with like-minded people. There are also tourism companies, like working holiday travel programs and the hop-on hop-off buses like Kiwi Experience, where you are certain to meet other solo travellers too. Find out more ways to meet people here. With the working holiday visa in New Zealand, you are entitled to work and travel. This means making some work mates along the way! Honestly, these are just some of the situations where you meet people. You’re even likely to make friends in the unlikeliest of places. That’s the beauty of travelling. The unnecessary fear of girls travelling alone has been heightened by high-profile violent stories in the media of women who have been alone away from home, such as Sarai Sierra who was murdered while travelling in Turkey in 2013. There’s also incidents in conservative countries where women who are alone stereotypically means they are promiscuous, which can lead to sexual assault. New Zealand follows a western culture where being a single woman is pretty common thing. People travelling from different countries to New Zealand tend to understand this also. In fact, New Zealand is one of the most liberal countries in the world by being the first to allow women to vote in government elections and has held three women in a powerful government positions simultaneously. That said, it doesn’t mean you can throw caution to the wind and act all naively! Drunkenly letting a group of dodgy strangers know where you’re staying or taking the creepy dark alley route back home at night can be risky anywhere in the world. Clearly, this is not an issue of just “females travelling alone”. New Zealand is one of the safest countries in the world to travel in so it is extremely rare to hear of backpackers being attacked. New Zealand is a backpacking and holidaying destination for people from all over the world from many different cultures. With that in mind, it’s easy to find backpacker hostels with female-only dorm rooms. In almost all hostels in New Zealand there are separate male and female toilet and shower facilities. Although female-only dorms are for the comfort of female travellers, they are in no way a necessity, as most people stay in the mixed dorms. With the usual range of 4 to 12 beds, mixed dorms are considered safe for all guests at cheap rates. Is it really the biggest achievement of travelling? The achievement of travelling alone in New Zealand is certainly not defined by gender. The achievement comes from leaving everything you know to explore unfamiliar territory – something a lot of us find hard to do. But once accomplished and once in New Zealand having the time of your life, you realise how incredibly easy it was. For more tips on solo female travel, check out The Girls’ Guide to Backpacking in New Zealand.